Is Now a Good Entry Point for McDonald’s or Chipotle? 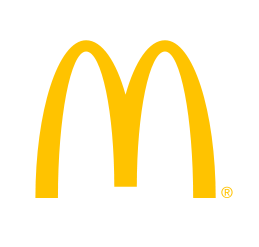 McDonald’s (NYSE:MCD) reported its sluggish quarterly earnings today. With earnings of $1.32 per share, the company slid below the Street’s $1.38 consensus. Its operating income of $2.2 billion, up 2 percent year-over-year, is likewise a disappointment; operating income rose only 7 percent in the first quarter 2012, which was the first single-digit year-over-year growth rate since 2009. With a slew of problems, from a sluggish economic recovery to exchange rate problems, quick-serve restaurants have a number of short-term challenges. The value-based strategy with these companies is simple: play short term declines in order to initiate attractive long-term positions in companies with good prospects. Don’t listen to “target prices” at times like this. I found “targets” on Chipotle (NYSE:CMG) from two reputable analyst firms that vary by 33 percent from eachother. One has a “target” that predicts a 66 percent 12-month upside from the company’s present share price–shares tumbled 23 percent earlier this month on “slowdown” anxieties. Given the lackluster quarterly reports in the restaurant sector, investors still have some waiting to do before initiating a position. Let’s take a comparative look at two these two different quick-serve concepts–McDonald’s and Chipotle (NYSE:CMG). Chipotle’s menu is well under half the size of McDonald’s, making McDonald’s the great generalist and Chipotle the great specialist. Chipotle’s average transaction size is around $12, while McDonald’s average transaction size is below $10. This transaction premium is one of the factors fueling the pronounced slowdown in Chipotle’s sales, particularly as McDonald’s and other stores like Burger King (NYSE:BKW) modernize their stores and menu. Activist investor Bill Ackman recently initiated a nearly 13% stake in Burger King. On the investor side, Chipotle is a mature company that is priced like a young start-up. Even at about $300 per share, you are still paying over 40 times earnings for a slice of Chipotle. It is true that Chipotle is opening over 155 new restaurants in 2012, following expansion in 2011 of about the same amount, while opening its first restaurants in Paris and London. With the European sovereign debt crisis, though, there is going to be short-term friction at an explosive expansion into other parts of the European continent. Comparing that to companies like Yum! Brands (NYSE:YUM) and McDonald’s that are making major inroads into China, I see less justification for the Chipotle “growth premium.” Yum!, for instance, will have a total of 700 new units in China this year alone and has a number of hedge funds with major positions in it (youcanseethemallhere). McDonald’s opened 200 new stores in China in 2011, and it plans to open 250 locations in 2012. McDonald’s and Yum! Brands trade at around 17 and 20 times earnings respectively. For both companies, though, the strengthening of the dollar has eroded earnings. But this just highlights the virtue of having a diverse portfolio of expansion, products, and restaurants worldwide–both companies have excellent fundamentals going forward. I also like McDonald’s dividend yield of over 3 percent. Chipotle does not offer a dividend, something that ought to change as it matures. In all, short term earnings are likely to be disappointing, trimming down prices at McDonald’s and Chipotle. I think that both represent excellent long-term prospects in different ways: McDonald’s generalist world-wide portfolio of restaurants and foods versus Chipotle’s policy of doing a few things very well. A play on McDonald’s is also an attractive way to play a positive growth outlook in China and elsewhere in Asia. Billionaires Jim Simons and David E. Shaw are among the hedge fund managers with large MCD positions (see Jim Simons’ top stock picks). Jim Simons’ Renaissance is also the top hedge fund in Chipotle, followed by technology guru Philippe Laffont. Disclosure: Brian Tracz owns shares in Yum! Brands.